Have you ever wanted to create a motivational video for your business, product, or presentation but didn’t know where to start? This week I’ll take you through the process of creating a motivational video using readily available consumer technology. We’ll look at the different tools that are available along with the process of planning, writing, and producing the actual video itself. With the advent of low cost, high definition cameras, almost anyone can create a reasonable quality video in 2011. Gone are the days of video tape, VCR’s, and hours and hours of editing time. With the advent of digital video, quality remains high post edit, and editing can be frame accurate… things that did not exist in the analog tape era. For our video experiments this week, we’ll stick with some basic tools that make the video process fast and easy. Editing: We’ll take our video clips and import via memory card into iMovie on a Mac. iMovie makes the editing process easy and with a few advanced tricks, we can do some pretty cool edits. iMovie has a lot of built in transitions and titling options to make our job easier. We’ll also experiment with iMovies’ built in trailer feature. Presentation: To add text and graphics to our presentation, we’ll use Keynote on the Mac. 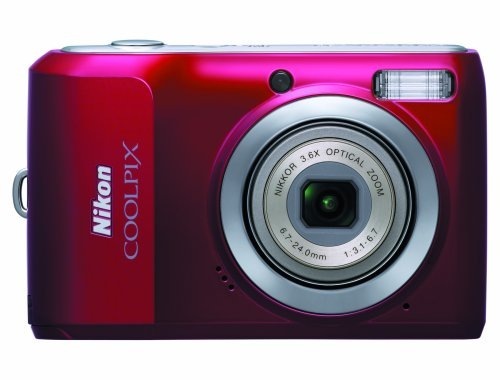 This will give us the ability to add an educational flair to our video and also use the computer as a basic teleprompter. We’ll look at ways to present this information in our video, from shooting the presentation on a monitor, to overlaying the presentation directly into our video. Output: To finish our project up, we’ll need to output our finished video where others can see it. We’ll look at different options from Youtube, Vimeo and others. 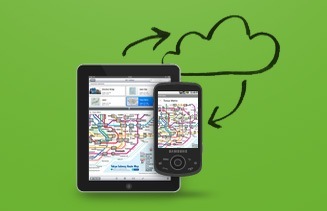 The process of uploading and embedding will also be covered. Presentation style: While the technology is important, how we look, sound, and present to an audience is just as critical. We’ll take a look at different presentation styles to see what works best. Overall: This week is a big experiment for me. I have wanted to produce good quality video presentations, but have been frustrated by the process. This week we’ll try some new techniques and see how things come out. It will be interesting to see what is possible with the current consumer technology. As always, your comments, ideas, and feedback are welcomed. Question: Have you created a motivational business video? Look at the person and make a mental note of their eye color. This may sound strange at first, but it requires that you to make eye contact, and look at the person long enough to determine the color of their eyes. I’ve found that this works best with small audiences that you might find at a group meeting, a Toastmasters club, or other business setting with 10 to 20 members. You just scan the room, pausing long enough to look at each person’s eyes along the way. With a little practice this becomes a smooth motion. You’ll be amazed at how well this works to draw people in. I’ve seen so many speakers scan the room but look past people and focus on the background. Other speakers may look over the heads of their audience. Looking people in the eye is a powerful connection tool to add to your speakers toolbox. It also works great one on one. Question: What techniques have you used to connect with your audience? 1: Touch Your Head: Make Them Think. The first rule of speaking is to offer compelling facts and figures that will make your audience think. You may have to go a little outside the box to draw people in, but interesting information will bring your audience to life. 2. Touch Your Heart: Make Them Feel. Facts and figures by themselves can get boring quickly. You need to add emotion to really draw people in. The best way to do this is offer heart felt or compelling stories or anecdotes. 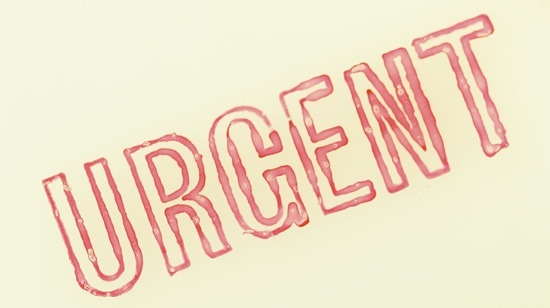 Tell your audience what is wrong with the status quo and then offer a compelling solution. 3. Hold Your Hands Out: Ask Them To Take Action. You can have the best speech in the world but if you don’t ask your audience to take action, they will leave unfulfilled. Make sure your speech has at least one call to action, preferably near the end so people will remember it and follow through. 4. Smile: Add Humor. Adding humor to your presentation is a great way to lighten things up and make your audience feel at ease. This can take the form of a joke, a funny story, or even a funny picture or graphic. Humor is a great way to break the ice and get your audience on your side. These four tips are easy to remember if you act them out. I find if I have all four of these present in a speech that the audience will respond better and it helps me remember why I’m presenting in the first place. 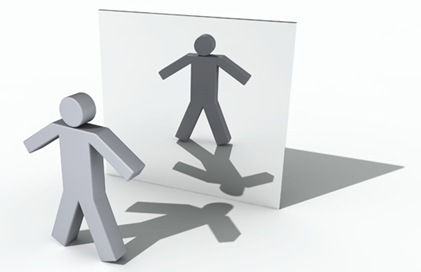 Why not go through the motions a few times and make sure your next presentation is a memorable one! Question: What techniques have you used to make a presentation better? I’ve been speaking to audiences for years and the one thing that is a must is to stay engaged with your audience. You can’t turn your back, or read from a screen and maintain their attention. Yet most presenters use Powerpoint and read from the screen. Depending on the room, their eyes may not make contact with the audience for minutes at a time. As I have moved into the digital age and started using Presentation software, I’ve really struggled with this problem. I’ve wondered many times how can you see what is going on behind you on the screen and still maintain eye contact with your audience? Many rooms are not setup to allow you to look past your laptop screen and see your audience. Many times computers are hidden away in lecterns or remote cabinets. With bulleted text on the screen, even if I could see it on the laptop, I couldn’t read it from the front of the room. ARRRGH..
Design simple graphics oriented slides with no more than a sentence of text. Print out a sheet of paper with screen printouts of the slides on it. If you keep your slides simple, you will be the focus of your presentation. With a slide printout (6 or 9 slides per page) you’ll be able to tell what slide you are on without looking at the screen. You can use a small tray or lectern to keep this paper in front of you and a wireless presenter lets you advance the slides one at a time while maintaining eye contact with your audience. This scenario is very effective but does require more practice and a reliable remote control unit. The newer RF units work well in most rooms even at a long distance. Be sure to do a complete run through before your actual presentation. Garr Reynolds has published an awesome book entitled Presentation Zen, that covers this technique and offers great ideas for compelling slide design using limited text. I had the pleasure of attending a presentation by Michael Hyatt, the CEO of Thomas Nelson Publishers, at a conference a few weeks ago. He used this technique flawlessly. 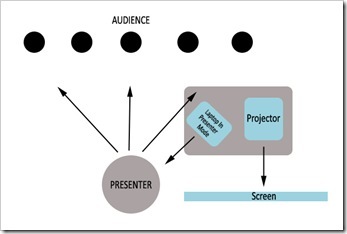 He has published a five step guide on his blog that can help you take your presentations to the next level. Question: Have you found a good way to maintain eye contact with an audience? 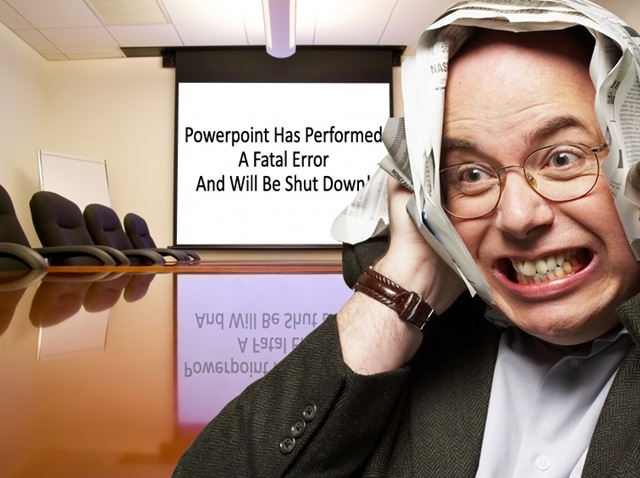 Help… I’m In Powerpoint Hell! As a speaker I’ve always had a fascination with Powerpoint, flipcharts, overheads and other visual media. As a kinesthetic-visual learner I always do better with a subject if I can SEE what is going on. Show me a picture, and I will learn better and remember more of what you said. While I like visual media, I have struggled with it greatly. As a speaker, using any one of the mediums tends to distract me and draw my attention away from the audience and focus it instead on the visual media source. I have found that it takes a lot of practice to present well and communicate with the media smoothly. I have had some blundering failures with visual media and also some amazing successes. Here are five things I’ve learned by trial and ERROR that have helped me move further into the success column and stay out of Powerpoint Hell!. 2. Develop A Presenters Toolbox: This is a collection of gadgets, wires and other items that will save the day. Mine has morphed over the years as technology has changed but here are a few of the common items that are now priceless. 3. Keep It Simple: While many things can be visually presented, your overwhelming amount of data should be put in a handout… not on your slides. If possible, limit your slides to one point and one graphic per slide. Lots of bullet points will distract your viewer and have them reading the screen. 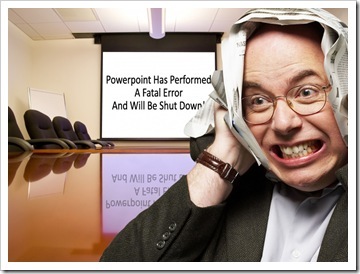 Remember… you are the focus of your presentation… not your slides. The slides should reinforce and enhance what you are saying. They should not be a reading script. Using the notes feature of Powerpoint will help you keep your slides simple but quickly be able to see your notes by printing them out or using the presenter’s view in Powerpoint. 4. Practice, Practice, Practice: Get familiar with the media source (laptop, overhead etc) before you give your presentation. Go through the entire presentation at least once to make sure there are no glitches or technology problems and that the presentation flows properly. Arriving early will give you a chance to use the equipment provided and make sure that everything works together. It will also give you a chance to visually check the room for blind spots and distractions. One of the big things is to test any wireless devices (microphones-pointers etc) and make sure they work consistently at the distance you will be presenting. 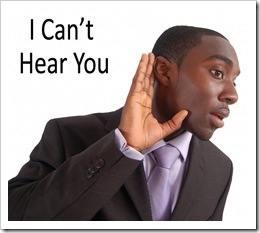 If your audience can’t hear you, they will let you know! Use the slide sorter in Powerpoint to re-order and fine tune your presentation for maximum impact. Make sure you have enough handouts for your expected audience and that you have printed your slides in handout view (6 or 9 per page) so you can refer to them throughout the presentation without looking at the screen. 5. Set Up The Room: If you have a meeting room that is configurable, you can enhance your presentation by following a few simple steps. 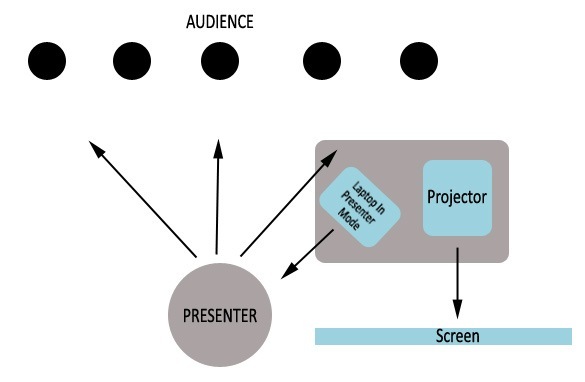 For Powerpoint, set the projector and screen to your right (as you face the audience) and put the laptop or other computer source on a table facing you. 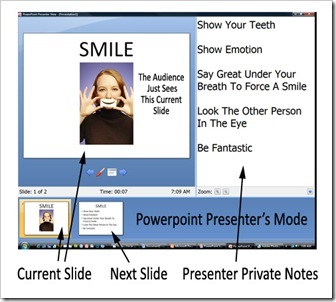 This will allow you to use Presenter’s mode in Powerpoint where you can preview your slides and see any notes as you face the audience. This will prompt your memory slide by slide and help keep your attention on your viewers. It will also keep you from turning your back to the audience and reading the screen. Putting the screen to your right (audiences left) will help place your slides in your viewer’s Visual Remembered Mode. Researchers have found that people tend to look up and to their left when recalling things from memory. If you place your screen or flipchart in this position (upper left as the audience sees it), they will remember more of your presentation. It also puts you center stage where you are the primary focus of attention. It’s also a good idea to have someone sit in the back row and listen to you. 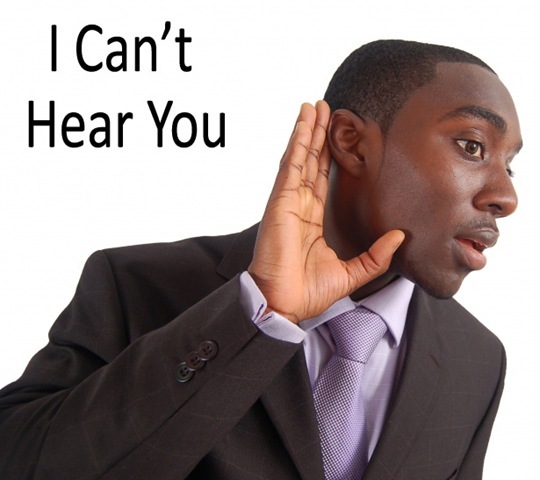 Can they hear you without a microphone? Try raising your voice slightly a few times until you reach a comfortable range for your listener. 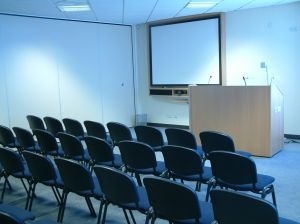 As you are presenting, focus from time to on time someone sitting in the back row and direct your voice to them. This will help you remember to keep you voice at a proper level for everyone to hear you. Wrap Up: These are just a few of the things I’ve encountered when using Visual Media. A great place to practice in front of a live audience is Toastmasters. 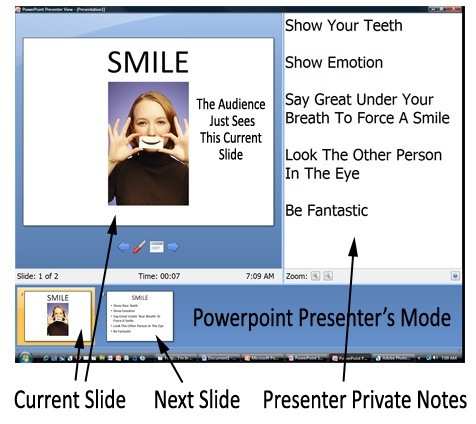 Many Toastmaster clubs have visual media tools available, where you can practice your Powerpoint or Flipchart presentations in front of a supportive audience. Further Reading: There are some great books that will help you create and fine tune an amazing Powerpoint presentation… here are three of the best…enjoy!